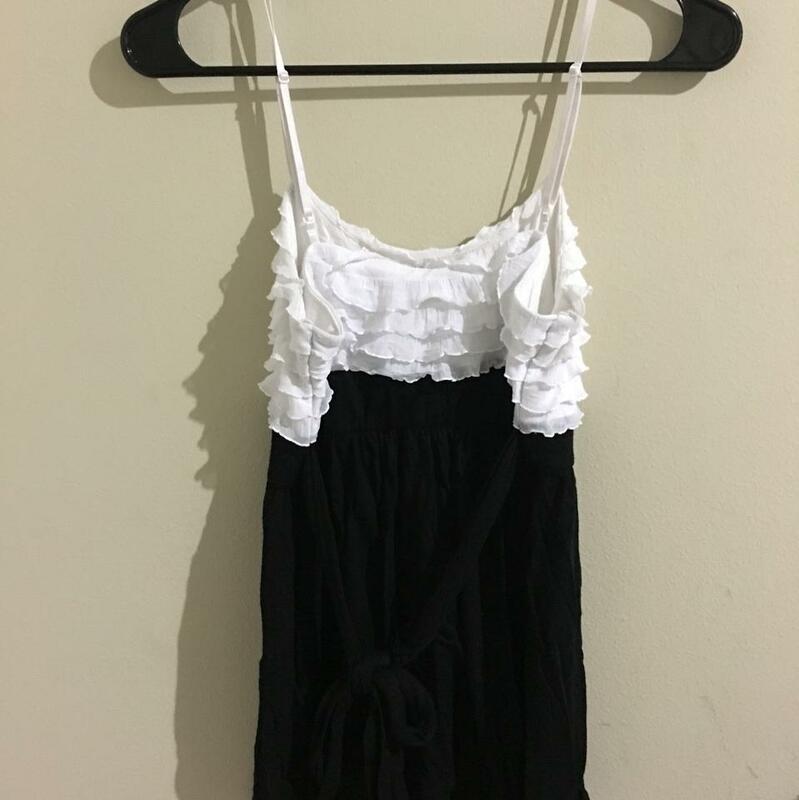 Cute black and white babydoll style top size medium. You can adjust the spaghetti straps and there is something in the back so you can tie the top. 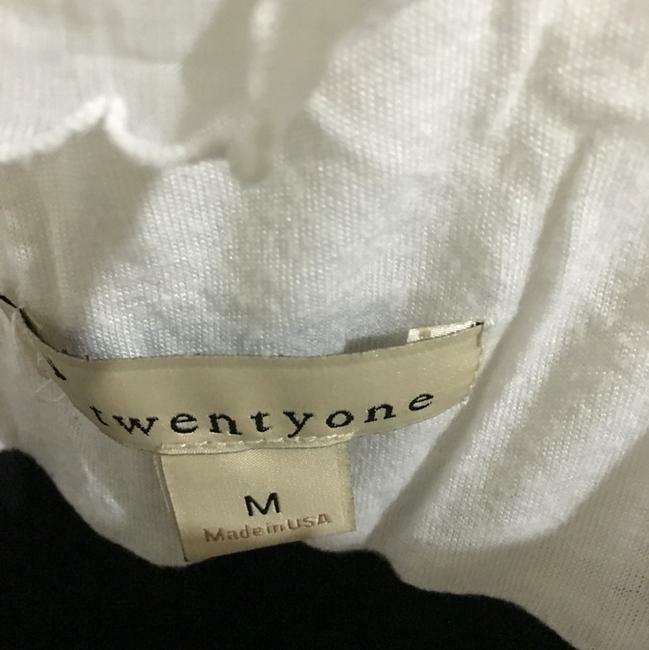 The white part that covers the chest has ruffles. This is not a maternity shirt but because you can adjust the back it will cover your belly if you are pregnant.